Picture a pathologist leaning over a microscope, looking for cancerous cells in a sample. It’s hard, time-consuming work, yet also vitally important. But what if the microscope itself could give the doctor a second opinion, in real time? This kind of “virtual lab assistant” is no longer a distant concept; it’s already here. The Augmented Reality Microscope for Cancer Detection, the subject of a Google research paper this spring, is a machine learning capability integrated into standard laboratory microscopes. It overlays visual analysis of the image, highlighting areas of risk and potentially catching things the human eye may miss. This microscope is but one example of how new digital technologies such as artificial intelligence (AI), machine learning and robotics are changing the way tasks are done in the workplace, and in turn, the vast majority of existing jobs. In the future, healthcare professionals could spend less time running tests, and concentrate more on caring for patients. The trucker of the future may spend more time managing logistics at transfer hubs for self-driving trucks than behind the wheel—which could also lead to an increase in jobs in the sector. In addition, new jobs are emerging. Across Europe Google is hiring hundreds of people for roles like Strategic Cloud Data Engineer, Android Relationship Lead,Big Data Product Specialist—positions that would simply not have existed a decade ago. A report last year from the MIT Sloan Management Review identified whole new categories of jobs that AI will create: trainers, explainers, and sustainers. In these roles, humans will work with cognitive technology to ensure that machines are both effective and responsibly deployed. We’re optimistic about the impact of digital technology on the world of work, but we’re not utopians. We understand change on this scale can be difficult, which is why we’re investing in training and other solutions to address changes in the labor market. Workers also want to prepare for this change: Demand for training is high, and people of all ages, backgrounds and experience levels want to acquire new skills that will enable them to succeed in the digital world. Our Grow with Google program aims to meet that demand with training workshops, direct mentoring and online courses. And it’s already seeing results: graduates have gained vital digital skills, improved their CVs and expanded businesses online. More than half a million businesses have reported growth in revenue and customers thanks to the program. We’ve trained 3 million people across Europe to date, and the next goal is to help 1 million Europeans find a job or grow their business by 2020. For those who want to take it to the next level, we partnered with Udacity and Bertelsmann to offer 10,000 scholarships in web development at beginner and advanced levels. We were so overwhelmed by demand we decided to support a further 60,000 scholarships to create a new generation of developers from diverse backgrounds. We’re working with partners at the national level to ensure that we reach as many people as we can with these programs. For example, we’re working closely with the Swedish Employment Agency on getting unemployed people learning digital skills through the Digital Me portal. And we’re working with training providers to broaden out the curriculum for Grow with Google and include more soft skills such as entrepreneurship, creativity, and leadership. We believe that the new world of work should be inclusive and accessible, and benefit society. And we want to play our role. That’s why we’re proud to join an initiative launched by the OECD in May to gather insight into how the evolving labor market can benefit everyone. The OECD asked business and academia representatives to share insights into how the evolving labor market can benefit everyone. 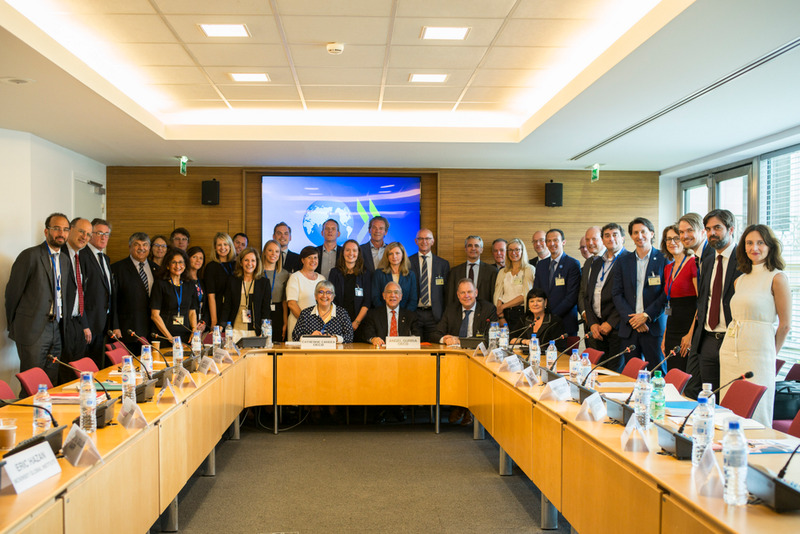 The stakeholder group was launched at the OECD Forum in May 2018. We appreciate the power of data, so we believe there’s a real need to gather good examples of workers and companies succeeding in a changing labor market, and to identify champions to ensure a future of work that works for everyone. A Future of Work observatory could address this. We need to be brave and create new solutions that protect workers, not jobs. We’ve been impressed by training vouchers, as recently initiated in Belgium and France—where workers accumulate credits for training over time, then spend them when needed. A sector-specific approach could also make sense: those most affected, such as transport or manufacturing, could benefit from a dedicated future of work taskforce. Educators are working on these issues, but they can’t be expected to do this alone. We see a need for skills partnerships so that teachers, employers and governments have the right strategy for changing skills needs. Again, we should look at those already succeeding: the technology pacts between industry and government in the Netherlands and Denmark are great examples. That’s a lot of work, in a lot of areas. It will take a huge effort to make it happen. But the potential return on investment for getting this right is massive. Companies, governments, and civil society need to think upfront about preparing people for new jobs, skills and technologies. There’s only one chance to prepare for the future of work. It’s imperative that we all work together to get it right. This article was also published on the OECD Forum Network.